Karlstad is a city, the seat of Karlstad Municipality, the capital of Värmland County, and the largest city in the province Värmland in Sweden. 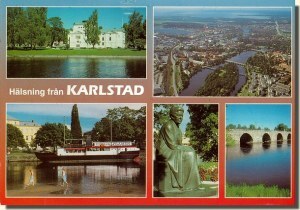 Karlstad is built on the river delta where Sweden's longest river, Klarälven, runs into Sweden's largest lake, Vänern. It has the second largest lake port in the country after Västerås. 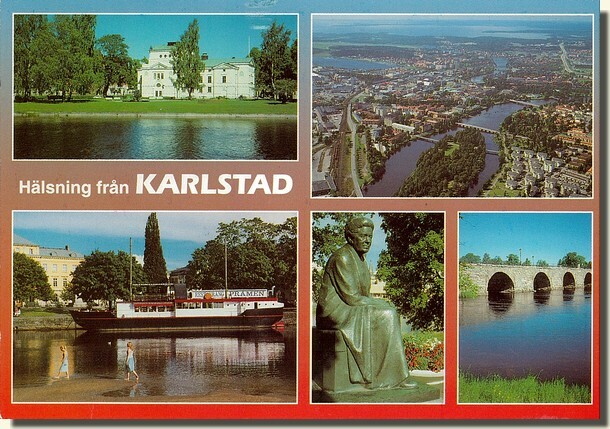 Karlstad is often associated with sunshine and the symbol for Karlstad is a happy sun. Karlstad is reputed to be one of the sunniest towns in Sweden and a local waitress, known as "Sola i Karlstad" (the Sun in Karlstad) for her sunny disposition, is also commemorated with a statue.